Take a deep breath & Remain calm. Never leave the accident scene unless it’s appropriate to do so. (If you have to, pull off to the side of the road or into a well-lit parking lot). Turn off your vehicle’s engine and either wait for assistance, or if it is safe, then step out of your car. Check to see if you or any passengers are injured. If anyone is unconscious or has neck or back pain, don’t move them until qualified medical help arrives. Unless a hazard requires moving a person. Call the Police (Request for an EMT/Ambulance if there are injuries). Get the name and badge # of the responding officer. Get a copy of the police report or case #. Exchange information with all drivers (name, address, phone number, license number, license plate number, insurance company and policy number) and passengers (name, address, & phone). 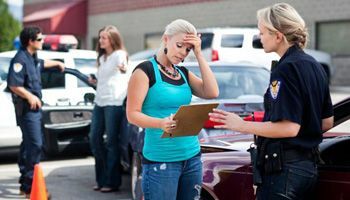 Do not admit fault at any point or discuss the details of the accident. Ask every witness what he/she saw. Get their names, numbers or addresses if possible. Promptly tell your insurance company you’ve been in an accident. Cooperate and tell them everything. Take pictures of everything involved in the accident as soon as possible. Do not drive your car if it is unsafe. Call our office (832) 534-4195 at your earliest convenience to schedule a complementary checkup to ensure you are free of any soft tissue damage or whiplash injuries.